Spectacular! layers, action, cool rays, WOW! Fav! Spectacular -- nature at its best, and well composed to show it off. I knew this was one of yours! Fabby! I have nothing to add to the above! Fantastic capture of crashing waves and sun rays. Foreground, midground, background...each one could stand alone and all together this is a superb! Wow - I agree with all of the above - spectacular!! 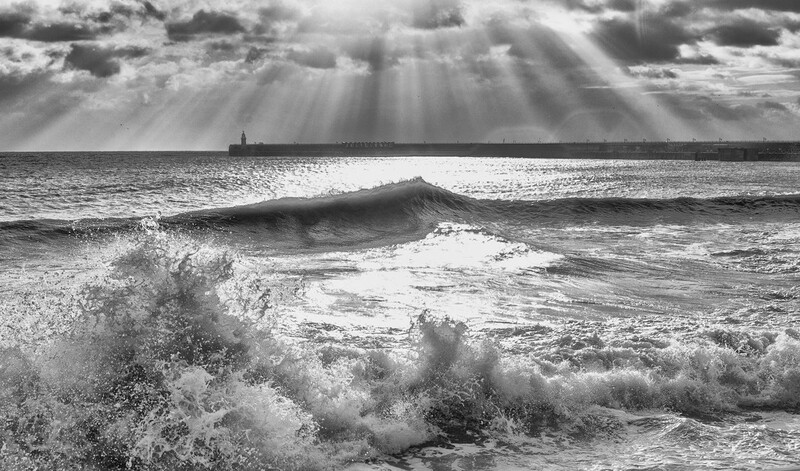 Wonderful rays of sunlight from the cloud and the fun splash of the waves. Love it, wall worthy. You may help yourself to a morbidly obese fav. wow, this is incredibly beautiful! reminded me of icing at first. Oh My! Fab! For me its the foreground splashes that add something to make this shot extra special and irresistible. Fav many times over! Congrats on TT - wonderful and well-deserved!